According to a truck accident causation study by the Federal Motor Carrier Safety Administration (FMCSA) and the National Highway Traffic Safety Administration (NHTSA), an estimated 38 percent of large truck accidents were caused by driver miscalculation or negligence. Commercial truck drivers, perhaps even more so than other motorists due to the increased weight and size of their vehicles and risk to the public, have the responsibility to ensure their driving habits do not put others on the road in danger. When they fail in that regard, trucking companies and drivers should be held responsible for their negligence. The American Trucking Association (ATA), a trucking industry advocacy organization, recognizes that truck crashes are twice as likely as car crashes to result in a fatality. 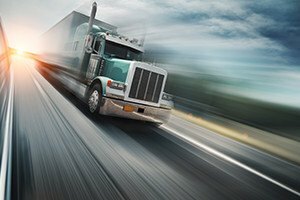 The ATA further recognizes that in fatal trucking accidents, those killed are usually not truck occupants. An ATA report found that among fatal truck crash victims in 2009, 76 percent were occupants of another vehicle, 9 percent were pedestrians or cyclists, and only 15 percent of victims were truck occupants. We have all seen truckers following too close, driving too fast for conditions, dangerously passing other vehicles, and making unsafe lane changes. Large trucks need a much greater distance to stop while traveling at high speeds, so truckers must leave more room behind the vehicle in front of them. This is particularly true when going downhill. When truckers fail to take proper safety precautions, the risk for harm is magnitudes greater than in passenger vehicle collisions. In addition to aggressive driving by truckers, reckless driving by others on the road can cause truck crashes, which in turn injure others on the road. For example, if a car pulls out and cuts off a large truck, the truck may be unable to stop in time to avoid a crash, and other vehicles may be hit as well. Our firm handles each situation on a case-by-case basis, taking care to select cases that have merit, and where we can make a genuine difference in our clients’ lives. We seek to build strong cases from the beginning, working with professional experts in related fields when necessary to investigate the causes of the accident and the full impact of your injuries as well as to identify all liable parties. Because we understand the significant impact your injuries have on your life, we diligently pursue your best interests in negotiation or, when necessary, litigation. If you have been involved in a trucking accident, please contact us to discuss your case. You can get in touch with us online through our website or by phone at 206.624.8844 for a free consultation.